Thanks to the miracle that is the Internet, I may (fingers crossed) have a better idea who she is. In the file I have on her portrait there was a terrible photocopy of an article from the November 1904 issue of Broadway magazine about the Middleton family, George Washington, and portraits. Images of a number of Middleton family portraits were included in the article, but they were too blurry to make out any details in my copy. It took intrepid intern Tara less than five minutes to find the article on Google books, so here it is. And if you scroll down to page 26, there’s Mrs. Middleton! She is identified as Elizabeth Gilbert Middleton, and page 22 of the article says that she used her will to dispose “of innumerable taffeta petticoats, silk nightrobes and mob caps.” I don’t particularly enjoy wearing mobcaps, but I wouldn’t have minded inheriting a taffeta petticoat or two. When I find free time, or intern Tara does, we need to do some genealogical research on the Middleton family to determine if the identification of Elizabeth Gilbert Middleton seems correct. But it was so satisfying to find something that might be pointing us in the right direction! I used the Hammond-Harwood House Facebook page to request ideas for blog posts. The suggestions all had to do with our collection of portraits, so this will be the first post in what will (hopefully) become a series about the paintings hanging in the House and the artists who painted them. Today, we have Mrs. Middleton, possibly Rebecca Middleton. She was also previously identified as Ann Elizabeth Kemp Middleton and Elizabeth Gilbert Middleton. This portrait is on loan to us from a private owner, and there is still a bit of uncertainty about its subject. 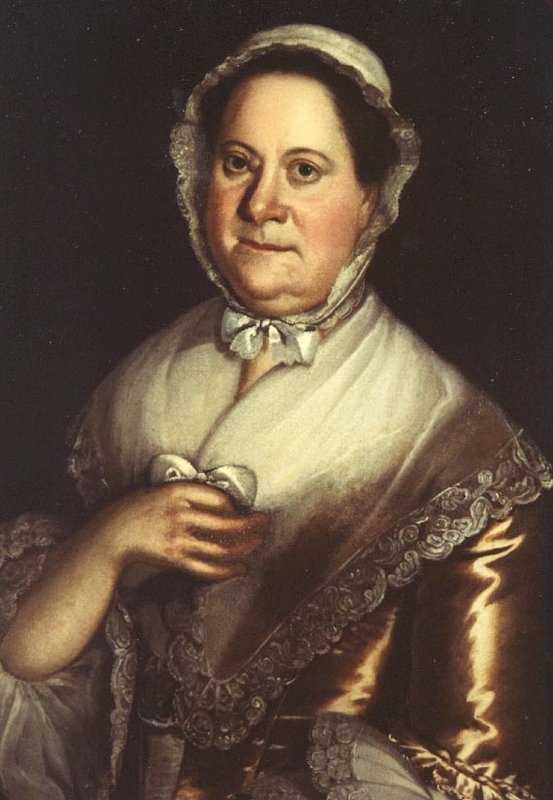 We have been told that she is one of the Middletons associated with Middleton’s Tavern here in Annapolis. She was painted by John Hesselius, the son of artist Gustavus Hesselius. John was born in Philadelphia but moved to Annapolis around 1761. He had been taught to paint by his father and in turn passed his knowledge on to Charles Willson Peale. The story is that Peale made Hesselius a saddle in exchange for painting lessons. Mrs. Middleton was obviously not the most attractive woman, but she certainly wore her finest to sit for her portrait. Her coppery gown is obviously silk, and her kerchief and cap are fine muslin edged with lace. Obviously she was, or at least wanted to ensure that she was portrayed as, a well-off woman. Now if I could only figure out which woman she was! The Hammond-Harwood House has not always been as protected from acquisition, development, or renovation as it is today. When the last private owner Hester Harwood died in the 1920s, Henry Ford apparently thought about purchasing the house and moving it to Michigan to be included in his village of exemplary historic homes from across the country. That disaster was averted by the intervention of St. John’s College, which purchased the house and used it as a decorative arts study center. At least, they did until the Depression hit and they no longer had the resources to maintain it. 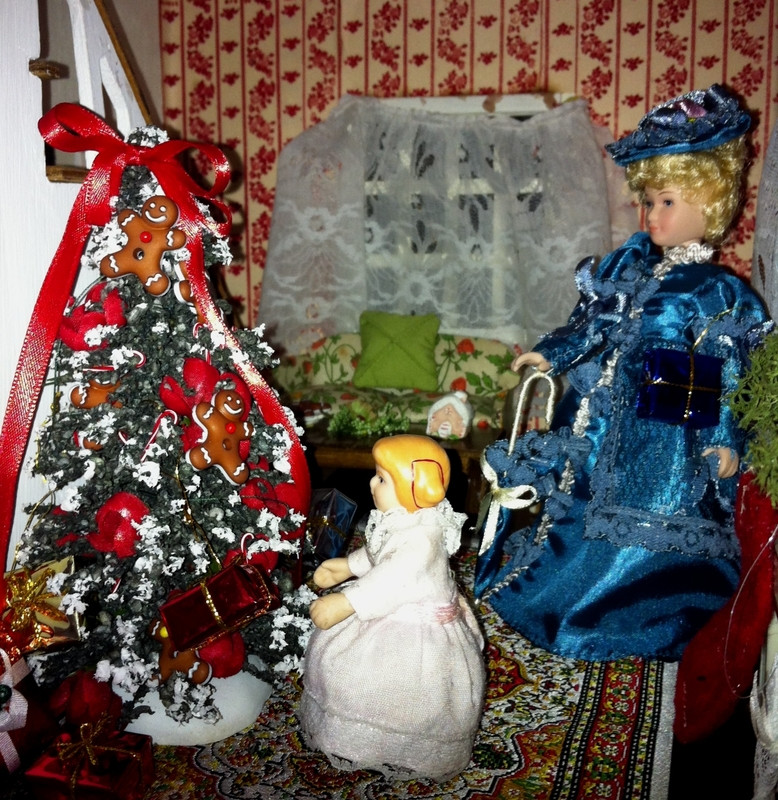 The House was shuttered until the ladies of the Federated Garden Clubs rented it and began giving tours. But St. John’s wanted to sell the House, and it was uncertain whether it would remain open to the public, or even remain in Annapolis at all. 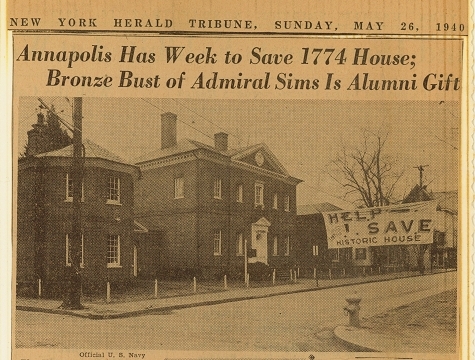 Supposedly Henry Ford may have still been interested…Luckily, a group of concerned citizens from Annapolis and Baltimore banded together, formed the Hammond-Harwood House Association, and saved the House for posterity. I love stories with happy endings, especially when they eventually end with me getting to tell all of you more about the history of the Hammond-Harwood House. Christmas! The decorating is done, and for the first time ever the Hammond-Harwood House has Christmas trees! Lots and lots of them, including this four-inch tall one. Where is it and why is it so tiny? Come see for yourself!